The term “Black Friday” means something different for the residents of Colorado Springs, Colo. after what transpired in their Planned Parenthood the day after Thanksgiving this year. Robert Dear entered the Planned Parenthood building, and after a five hour long event and police standoff, surrendered to police after hospitalizing nine, and killing a police officer, a war veteran who had just learned he had a third child on the way, and a mother. Interviews with neighbors, ex-wives, and other sources have helped us discover that while Dear was a “White, Christian man” (with a single “female” voter registration that heavily biased right-wing sources are now using to paint Dear as a “confused transsexual woman”) who spouted scripture and did not seem to follow it, beat his ex-wives …but never seemed to openly be anti-abortion aside from his ties to the Army of God – which is considered an actual terrorist organization though it only exists and operates within the United States. He did, however utter “no more baby parts” during his discussions with police after being apprehended. Dear’s attack on Planned Parenthood is sadly not the first, it may have been the deadliest so far, but it will not be the last attack. We’ve since seen a former Planned Parenthood employee take to Twitter about everything she’s witnessed (she even worked at the clinic of an abortion provider who was murdered for his profession). Evangelists call for these attacks, and all but instruct their followers to carry them out. Facebook evangelist Joshua Feuerstein instead posted that Planned Parenthood and those who work for it should be punished and should run in fear. Considering his following, who knows how that message could be interpreted? Politicians have finally begun to call this attack an act of “domestic terrorism,” which validates what Dear did as an act of terror. 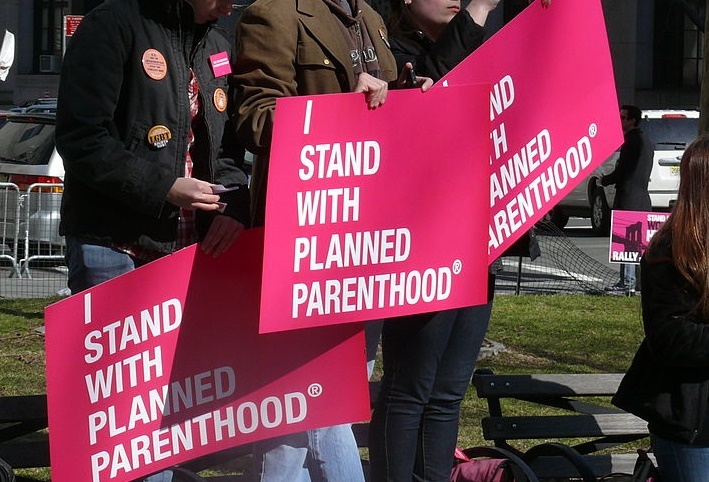 Because of the organization that was targeted, and Dear’s single utterance of “no more baby parts” we can make the connection that this was indeed an attack on what Planned Parenthood stands for, abortion providers, and essentially… women. What Dear did, and what GOP lawmakers are pushing for with the defunding of Planned Parenthood, or the closure of any and all centers that provide abortions (never mind the other beneficial things they may do), this is all boiling down to a war on the Pro-Choice movement, a war on reproductive justice… But not even a war on contraceptives or contraception, simply a war on how those two things affect WOMEN. The problem seems to be the term “Pro-Life” itself. One cannot be “Pro-Life” if they support loss of life in other means, or if they support violent means of protecting unborn fetuses. I never saw a single person who identified as “anti-abortion” praise Dear for his actions – they deplored the violence. That’s the thing about this kind of terrorism – it doesn’t work. In The West Wing, Sam Seaborn is asked about why he is fascinated about terrorism, “It’s a 100% failure rate. Not only do terrorists always fail at what they’re after, they pretty much always succeed in strengthening what they’re against.” We may have a #WarOnWomen that’s finally come to light in a horrible way, but we’re stronger because of it. Dear (thankfully) only killed three people, whose business in that Planned Parenthood is and always shall be private. Whatever his task may have been, he failed. Planned Parenthood’s doors are still open all over the country. Terrorism is losing the War on Women.